Designed with faux cabinetry and drawers, our Armoire Murphy bed creates the illusion of a grand armoire that will complement any room. Visitors will have no idea that the beautiful centerpiece of your office or study is actually a fold away bed until you pull it down for the night. 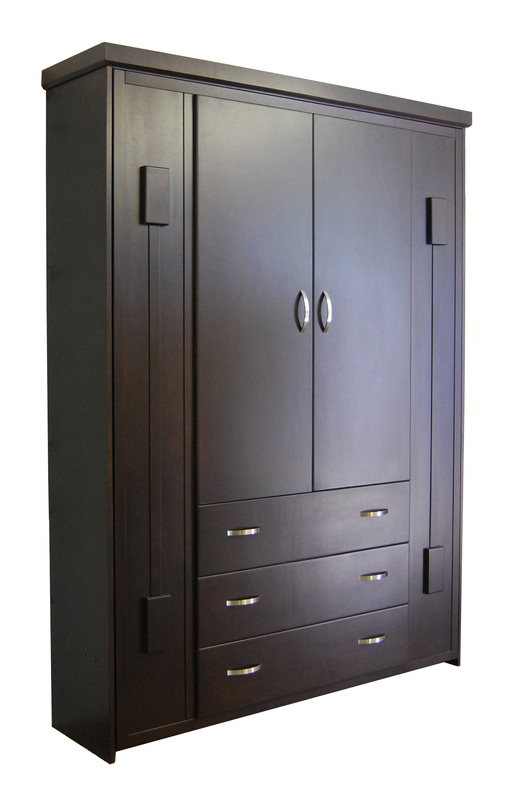 They will continue to be astounded when they discover the level of comfort and stability that the Armoire offers. Unlike folding beds that can be found at discount stores, the Armoire gives unwavering support, and always guarantees a good night’s sleep.